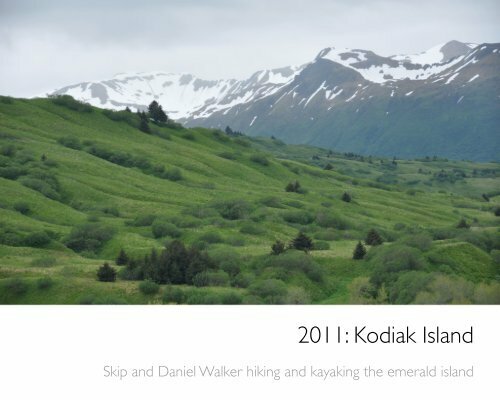 Page 4 and 5: Kodiak alpine. Page 10 and 11: Jumping a tidal stream. Page 12 and 13: Kodiiak buffalo. Page 14 and 15: Sea kayak trip in Anton Larsen Bay. Page 20 and 21: Tufted puffin attack. Page 22 and 23: Encounter with a sea otter. Page 24 and 25: Encounter with a fin whale.